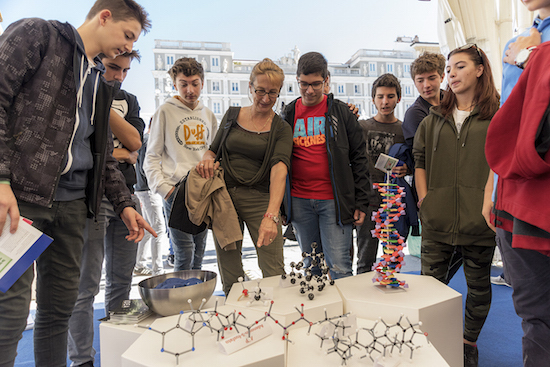 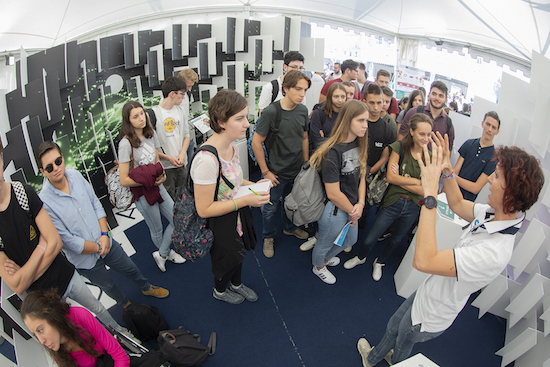 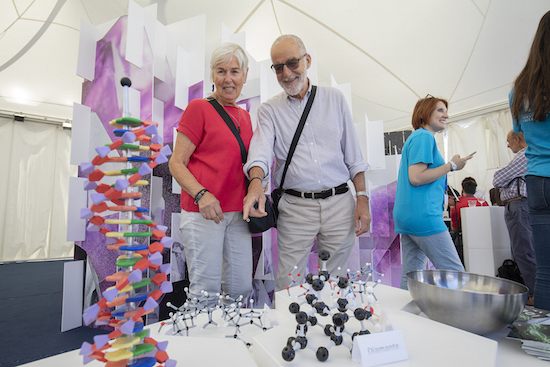 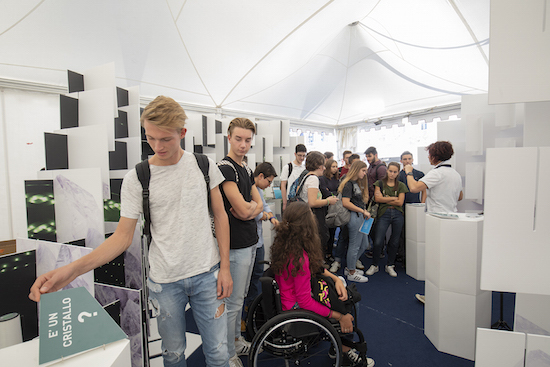 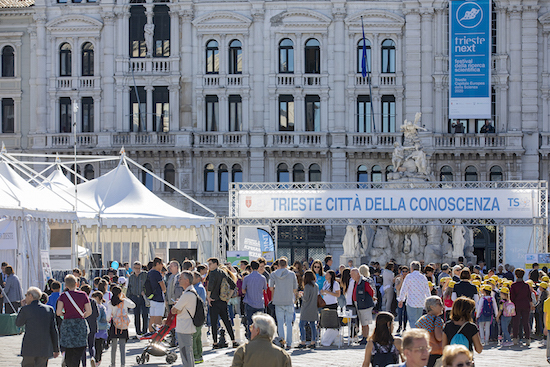 Following a Saturday affected by strong bora wind, which forced the organizers to close the booths in Piazza Unità, Trieste Next 2018 finished off with a sunny Sunday, which attracted a lot of visitors. 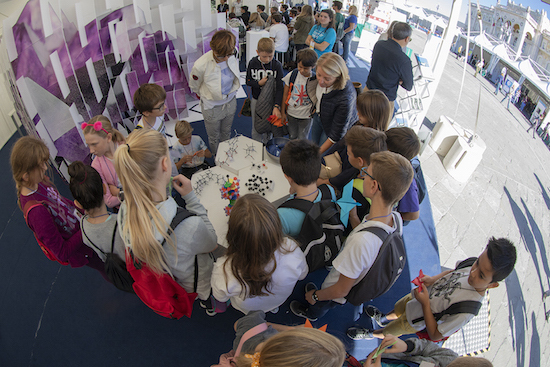 Over 40,000 people were in attendance and a full house was reported at the several events populating the programme. 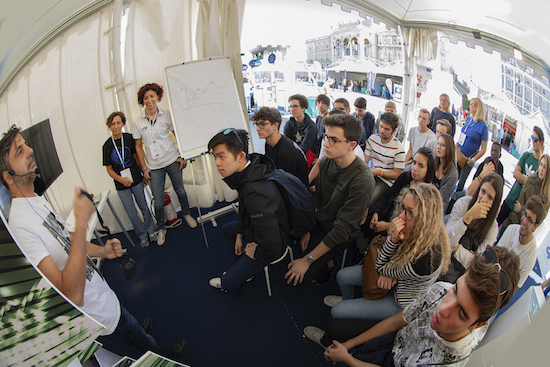 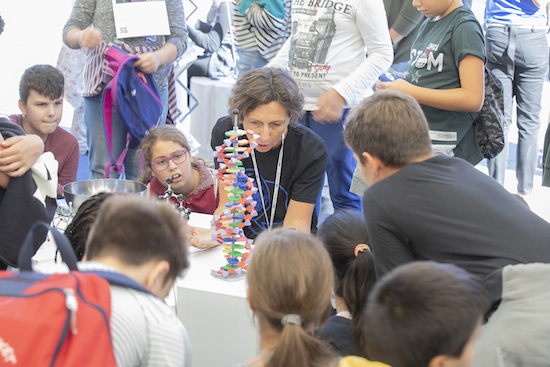 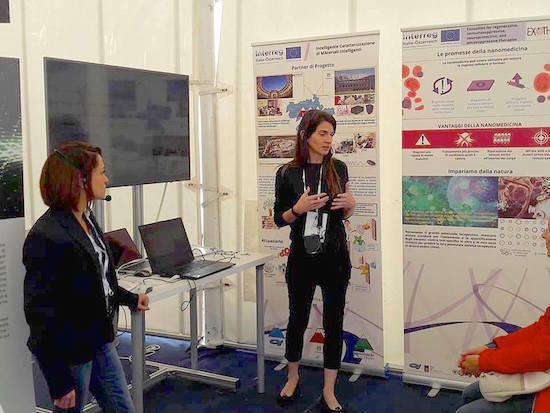 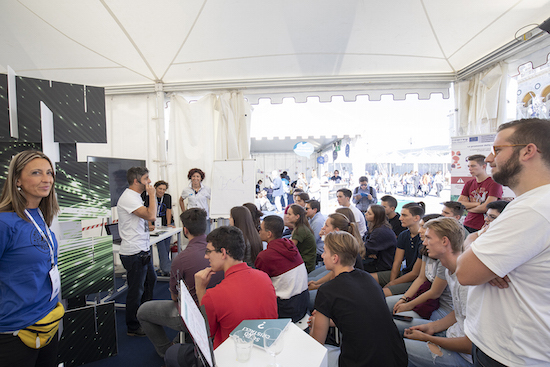 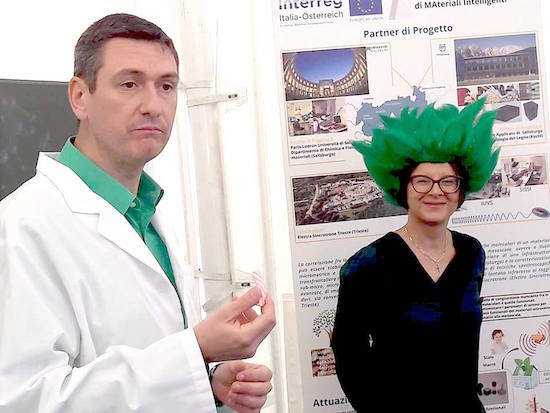 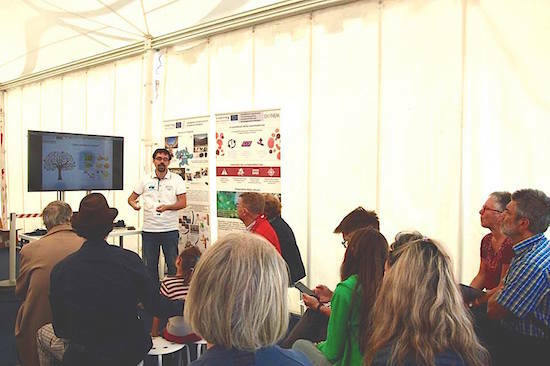 Friday 28 September, the opening day, was organized in conjunction with Sharper/European Researcher’s Night, an initiative promoted by the European Commission, which involved 12 Italian cities. 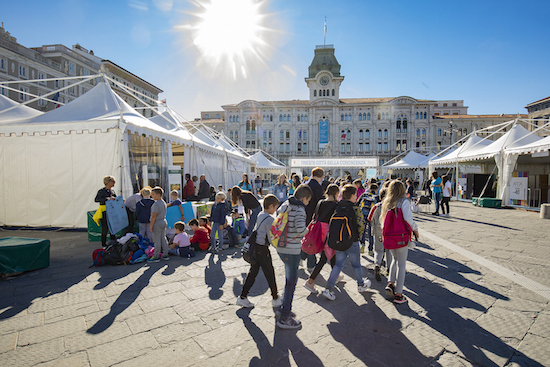 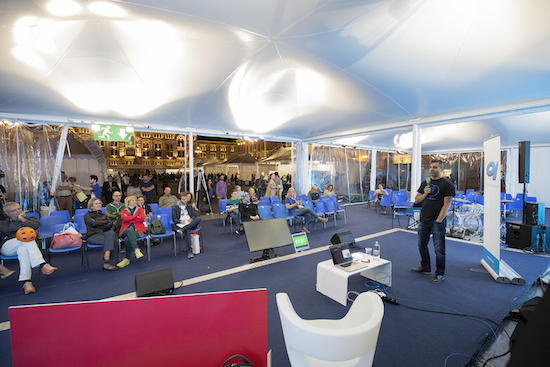 In the morning, the piazza was taken over by over 4,000 students, with a constant flow of enthusiastic visitors then going on during the day, up to the closure of the booths at 11 pm. 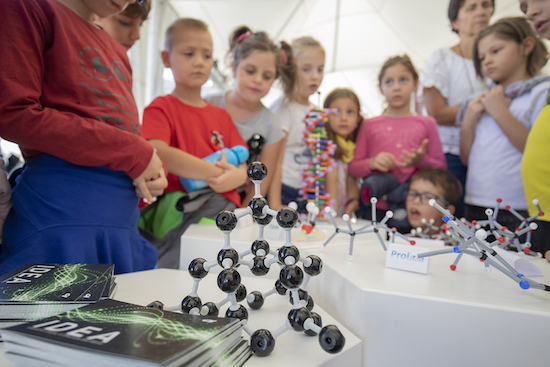 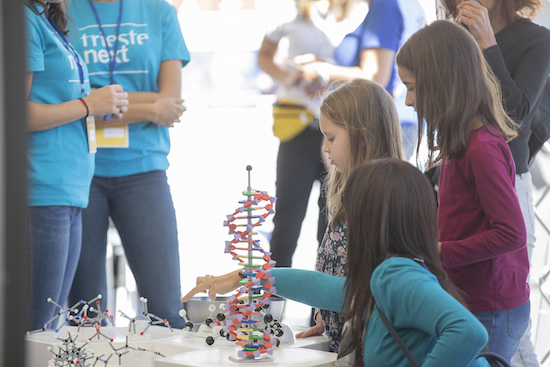 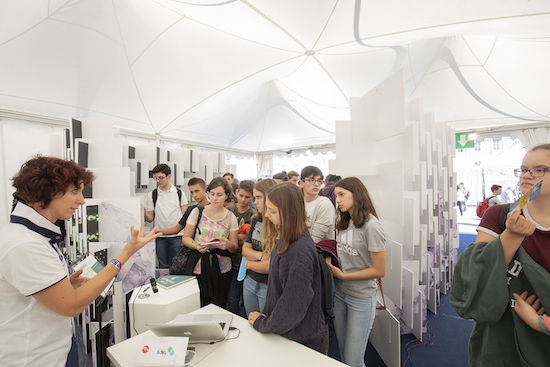 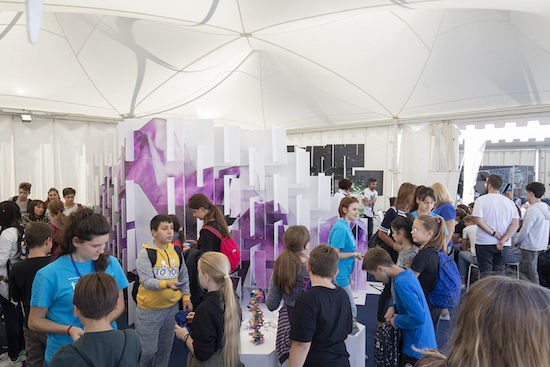 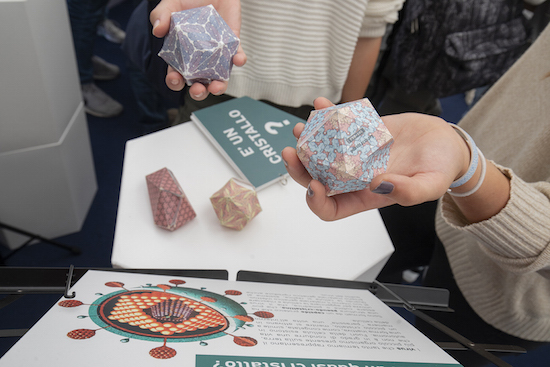 The Elettra stand focused on IDEA (Interactive Display of Electron and Atoms), an installation which uses music to explore the properties of matter and scientific data to inspire musical composition. 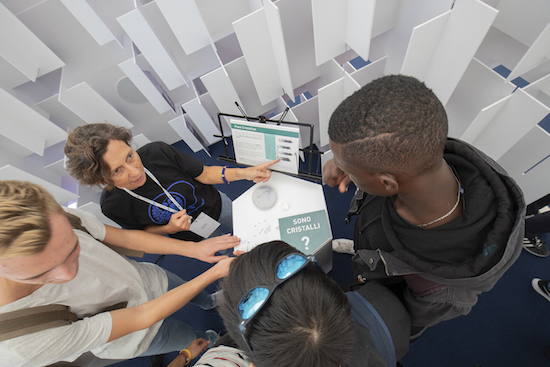 The public gained access to the microscopic world of materials, collections of electrons and atoms, through a perceptive installation: an immersive sound environment exclusively built through the sonification of data on the crystalline structure of various materials. 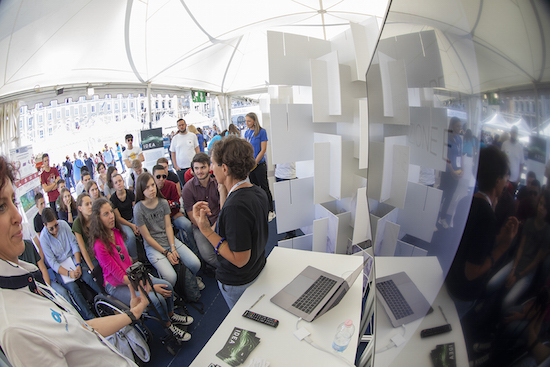 Sonification – i.e. 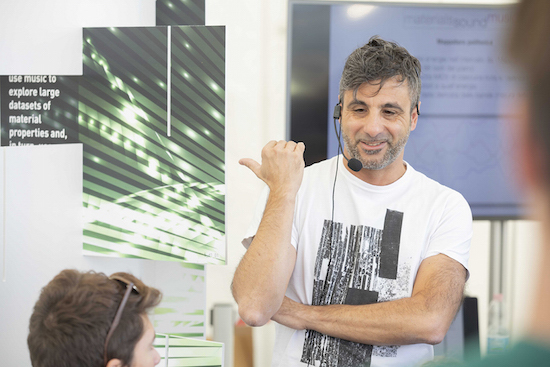 the representation of data through acoustic means – is a complementary alternative to visual approaches and, from an artistic point of view, it provides raw elements for a composition process that transcends the material character of the original information: the flow of data is open to further processing as a main element of a composition environment based on data. 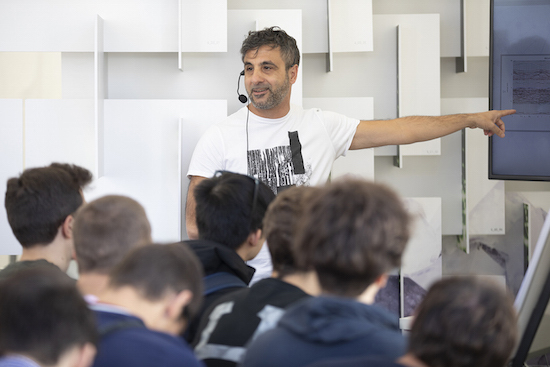 The sounds that can be heard within IDEA constitute in turn the acousmatic basis for a “closed loop” of a string quartet and fixed media, composed by Marco Buongiorno Nardelli (University of North Texas) as a tribute to Elettra Sincrotrone Trieste. 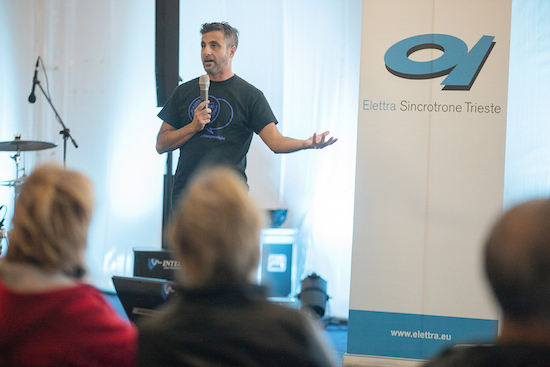 The full quartet can be listened to on the website www.materialssoundmusic.com.